January is named for the ancient Roman god “Janus,” a two headed deity looking forward and backward. New Year’s is a moment when people tend to look back over the past year and reflect over the events and people that shaped the last 365 days. And we look ahead. We predict, plan and make resolutions for the new year before us. To where am I going? But, we can’t really act meaningfully unless we fully live and embrace the present. Let’s pray that as we begin to count the days of a new year, that we’d live more fully in the present; focusing more on the here and NOW. –Mindful that we cannot do a thing to change the past; and the future will never be exactly what we planned. This weekend’s gospel reading presents us with two men: Pontius Pilate and Jesus. Pilate has heard a lot about Jesus. He’s trying to figure out who Jesus is: Where does he get his power? What’s his appeal? Jesus doesn’t have the dress or swagger of a king. He’s not accompanied by servants or protected by armies. Pilate is confused. If this “Kingdom” belonging to Jesus is somewhere, it doesn’t seem to be much help right now. The Kingdom of Jesus exists wherever the truth is told. Wherever and whenever truth and honesty triumph over lies, deception, falsehood, and cover-ups, Jesus reigns supreme. Christ is the “King” of every human heart, committed to the truth. Do we avoid the truth, when it sheds light on people or things we want to protect? Are we willing to follow Christ our King, trusting that the “ truth,” sets us free to face both life and death without fear. Pray that we will always be counted as citizens of this Kingdom. “A leper came to Jesus and kneeling down begged him and said, ‘If you wish, you can make me clean.” (Mark 1:40) That’s in this Sunday’s gospel. 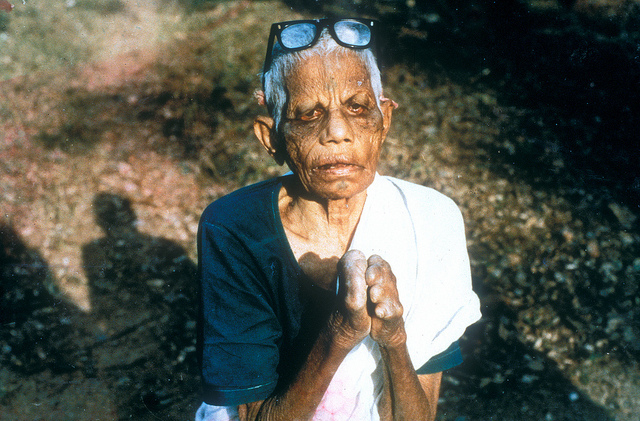 Leprosy is a disease that affects nerves. Most people think about leprosy as a horrible skin disorder. But that’s only part of the story. Leprosy tragically affects the nerves of the body, especially in the hands and feet. Leprosy stops people from “feeling.” So for example, someone with leprosy might not “feel” the red hot pot on a stove. Their bare hands would be terribly burned. Because there’s no feeling. 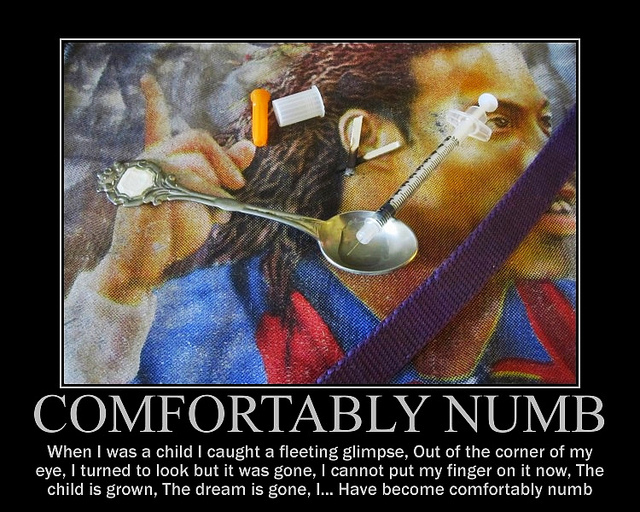 Leprosy creates numbness. It’s an overall, generalized “numbness” that deadens our feelings and reactions to life. Because we’re so busy and distracted we can become “numb” to what’s really going on with our kids or spouse. Because we “overdose” on headline news and stories of terrible things happening all over the world, we can be “numb” to the pain of the co-worker sitting a few feet away. Above all, the path to healing requires asking God for the grace needed to live a fuller, more abundant life: Day by day, hour by hour, situation by situation. Healing is rarely self-induced. It requires openness to a power that is bigger and higher than ourselves. If you can at least allow yourself to “feel” the need within yourself, you’ve taken the first step toward healing. Pray for the “nerve” to go further. Artwork: photo of Father LeBaire by Susan Bailey; “Leprosy” by Community Eye Health. Community Eye Health–Elderly multiple disabled multibacillary (MB) leprosy patients with a long history of disease are most at risk of developing severe eye complications and blindness. This coming Sunday’s gospel is a story of fisherman making a career change. We hear that they “left behind their nets” to follow Jesus. Some people think that being a fisherman in the time of Jesus meant being poor. Nothing could be further from the truth. Fishing was an extremely lucrative and well paying profession. Fishermen could enjoy a fairly good standard of living. Fishermen in the part of the world where Jesus lived had a job security and steady income that many others would envy. Obviously, for these men, their well-paying jobs, and career security weren’t satisfying enough. We’re told that they were willing to leave it all behind and become “students” or “apprentices” of Jesus. (The word “disciple” means: student or apprentice.) These men were looking for something more in life. Apparently they found it in Jesus, because later on they were willing endure all kinds of suffering for the sake of what they discovered. Is what you’re doing in life right now satisfying to your soul? Have you found what you need to live each day with serenity? What would you be willing to “give up” and” let go of” in order to experience yourself more at peace with yourself? Do you find something inside you, yearning and craving to make some changes in life? Let’s pray this week for the strength to “leave behind the nets” that are preventing us from going where we need to go in life. How will we make 2015 different in a terrific way? Or, will it be more of same…same…same? My thanks to Father Steven Labaire from Holy Family Parish in Worcester, MA for passing along this prayer for our brothers and sisters around the world facing persecution. Please join us in praying for them daily. Father in Heaven, you make your sun shine on the good and bad alike. Your Son Jesus Christ died for us all and in his glorious resurrection he still retains the five wounds of his Passion. With his divine power he now sustains all those facing persecution and martydom for the sake of their fidelity to the faith of the Church. Merciful and mighty Father, do not allow Cain to return again to murder helpless Abel, innocent Abel. May persecuted Christians around the world remain, like Mary, their Mother, together at the foot of Christ the Martyr. Comfort those menaced by violence and those oppressed by uncertainty. May your Holy Spirit of love make fruitful the witness and blood of those who die forgiving. Yesterday reminded me of how suddenly life can end. Rich and I attended the funeral of his cousin Donna who was killed suddenly in a car crash. Gone, just like that. She had just returned to Minnesota from Connecticut, having spent the weekend with her parents. Her mother was brought home from rehab after several weeks away; Donna and her sisters helped to settle their mother back into her routine. Donna was a doctor, having first served in a pediatric practice for fifteen years, followed by time spent in an army hospital and then in clinics on Indian reservations. She was well aware of all that was going on with her parents and was able to contribute her expertise. She also contributed her special brand of humor and consolation to her mother, father and sisters. 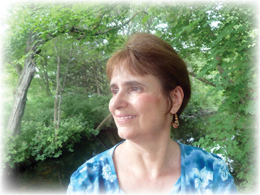 Donna was a healer who was very passionate about life. Her spirit was adventurous and free, her life lived with deliberate intent. It therefore seemed exceedingly unfair that this woman in her prime should suddenly be taken from this life while traveling home from the airport after having called her mother to tell her she was “alright.” Unfair to her mother who is still quite frail. Unfair to her father, devastated at the loss of his little girl, the youngest of the sisters. Unfair to her sisters who depended upon Donna’s gift of life. Father Steve is breaking the bread which Catholics believe is the body of Christ. He then takes a piece and drops it in the chalice containing the wine which is the blood of Christ. This is what I mean by deliberate intent. Notice how the ritual and each little motion is done slowly, reverently, with love. By the deliberate intent of his motions, Father Steve allows us time to contemplate the mystery of the bread and wine. The breaking of that bread reminds us of Christ’s broken body on the cross and the mingling of the body with the blood which Catholics then receive as the eucharist during communion. Christ shares himself with us through such humble means as bread and wine and in the most intimate way possible: by entering our bodies as food. This is what Catholics believe; it is what I believe. Father Steve demonstrates living with deliberate intent by the way he celebrates this ritual which he has done endless times but never without thought. Donna lived with deliberate intent, chasing her passions for medicine, helping others and wildlife photography while never forgetting her family. I’m told by my mother-in-law that Donna called her mother three days each day to check in. Now she is gone but she leaves behind a legacy, not just of her love or her good works or her beautiful pictures. She leaves behind a legacy of living life with deliberate intent. Father Steve reminded me of that today in his celebration of the mass, the most sacred of rituals. Do we think about what we are doing? Do we pour every bit of ourselves into the present moment or do we waste time living in the past or anticipating the future? What is our intention as we life each day? Obituary for Donna Marie Downing Anderson, M. D.